The trendiness of film criticism has risen, but at an expense. It has come to be, quantified through sheer consensus – the ‘Rotten Tomatoes’ or ‘Metacritic’ effect. Each film is awarded a percentage that indicates the degree of quality (or rather of regard) that film has earned. And when a film is deemed ‘rotten,’ its reputation suffers. Such websites attempt to distil our global, cultural taste and discourse down into percentage points; a discourse that realistically will not endure substantially past the film’s opening weekend anyway. This means, beyond their initial critical reception, films are often denied the opportunity to reach their intended audiences. This year I cannot think of a film more critically maligned and shamelessly overlooked than M. Night Shyamalan’s After Earth. Though I can’t say I’m particularly surprised. For years now, since 2004’s The Village, Shyamalan has become an easy target, a filmmaker whose films are judged based on him rather than on the basis of their own merit. Thus, unfortunately, After Earth, a truly great film, and a great sum of Shyamalan’s previous work, has been unduly overlooked. As such it is a fresh point of entry into an outstanding filmography, consistent in themes and aesthetics. and yet left generally unrecognized by the critical community. 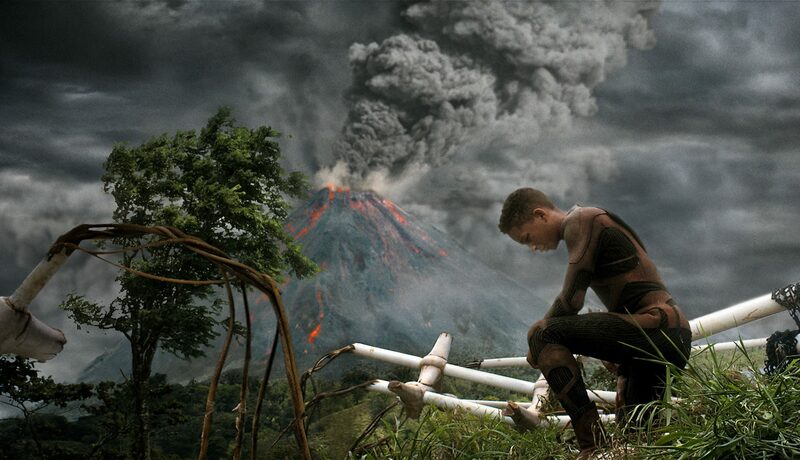 After Earth may look like a model sci-fi blockbuster, but it is radically different from typical studio fare. With a small cast of just four key actors, it is a character-driven, highly focused, formal work with finely detailed and heavily textured environments. Will Smith—who literally saved the world in Independence Day and again in three Men In Blacks—spends most of his time sitting in a chair, and bleeding to death. With the risk of just two human lives, the stakes of After Earth are remarkably low for a picture that opened in July. Released to a public where everything tends toward the bigger and the faster, Shyamalan takes the opposite stance. He strips down the blockbuster form to its bones, making After Earth an intimate human story played out against an epic backdrop. In the future, mankind has relocated to the planet Nova Prime. Kitai Raige (Jaden Smith) is a young teenager, estranged from the father he so admires, legendary General Cypher Raige (Will Smith). When Kitai’s older sister was brutally murdered several years earlier, Cypher reacted by neglecting his family, turning instead to a leadership role among the other men in their community. The young protagonist carries a very heavy and adult burden—one that creates discord between his intellectual and emotional maturity. This monologue harkens back to The Village, in which the role of fear was central to Ivy Walker’s (Bryce Dallas Howard) personal development and maturation. 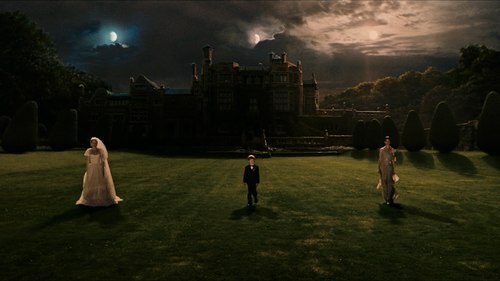 In both films, parents must learn to let their children learn for themselves, and embark on their own independent quests. In The Village Ivy must leave the village to get medication for Lucius (Joaquin Phoenix) while, in AE, Kitai travels across forests and rivers to retrieve the ship’s beacon. After Earth is also a thematic continuation of The Happening. Shyamalan weaves into the film the notion, not that we have outlived Earth, but rather that Earth has outlived us. In a very powerful sequence, as Kitai emerges from the cave in which the ship has crashed, the young protagonist gazes upon the wild beauty of Earth. The camera slowly moves back and around him to reveal that, blocking the sun, a flock of thousands of birds flies around him at once. The image is simple, but repositions man as a humble entity compared to the vastness of Nature. Shyamalan pulls off his ambitious attempt to [re]connect the viewer to what it originally meant and felt like to be human, long before our highly industrialized age. In one of the most memorable scenes of the picture—and one of the year’s best—Kitai seeks shelter in a cave. Alone, he lights a fire that reveals Prehistoric cave paintings adorning the walls . The drawings are a map of the surroundings, that inform Kitai on how to proceed to his destination. As he examines the painting, we hear a voiceover of a speech Cypher had given in an earlier scene. He comments on a sophisticated CG-map in the cockpit of their ship. Shyamalan points to the fact that not much about humanity has changed, despite the huge amount of elapsed time. More precisely, Kitai faces the exact same obstacles that the first men on Earth had faced before him. Each of the difficulties Kitai faces are extremely primal: illnesses, attacks from stronger species, navigation problems, etc. In these situations, stripped of millennia worth of progress, Kitai must get back to the original—and perhaps most human—strategies to survive. While telling a story of mankind’s future, Shyamalan also tells a story of our collective past. He tells the story of a young man who reconnects with both his particular heritage, through his father, but also his broader heritage, the one he shares with all mankind. Written by: Theo Zenou on January 21, 2014. Last revised by: Double Exposure, our reviewer, on January 27, 2014.